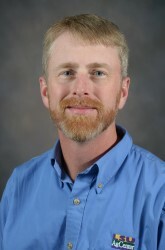 By Paul P. Price, III (Trey), Ph.D.
Summary: Fungicide resistance in soybean production has been a growing concern, particularly since the discovery of strobilurin-resistant Cercospora sojina (frogeye leaf spot). Another Cercospora species (kikuchii) that causes Cercospora leaf blight and purple seed stain has followed suit in Louisiana. The disease has become a persistent issue in the Gulf-South, and is a growing threat to soybean producers in the United States. This presentation will help producers, consultants, industry, and other stakeholders correctly identify Cercospora leaf blight and bring awareness to fungicide resistance issues in soybean production, particularly in areas where fungicides are routinely applied in attempts to prevent disease. Disease management and fungicide resistance mitigation options are also presented. By the end of this web cast, the user will know more about the symptoms, yield loss, life cycle, and fungicide efficacy/resistance associated with Cercospora leaf blight, and be prepared to employ management strategies.